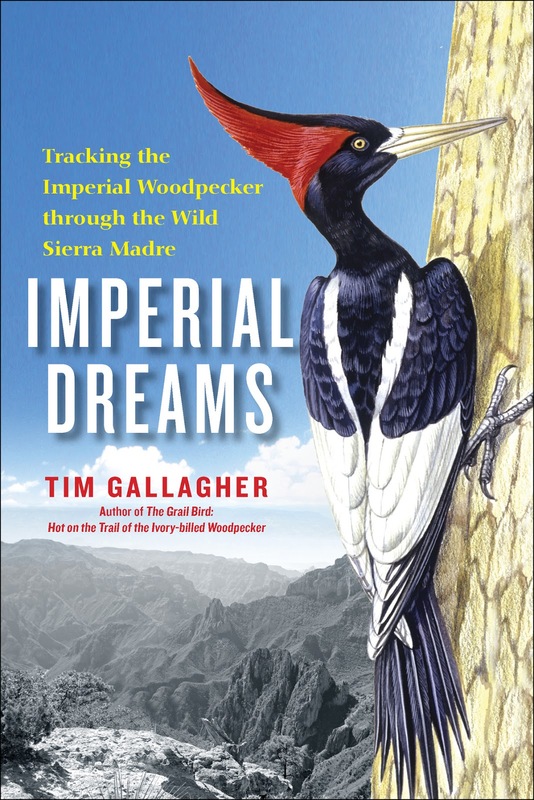 This is exactly what Tim Gallagher did in Imperial Dreams: Tracking the Imperial Woodpecker Through the Wild Sierra Madre . The Imperial Woodpecker is the largest woodpecker in the world and is closely related to the Ivory-billed Woodpecker (which Gallagher has also chased and written about in The Grail Bird: Hot on the Trail of the Ivory-billed Woodpecker) . While there were dangers during the search for the Ivory-billed, they seem rather mundane compared the narcotraficantes (drug growers), guns, and incredibly rough terrain of the Sierra Madre Occidental where the last credible Imperial sightings have occurred. You start to realize while reading this book that there isn't going to be an Imperial sighting. There is hope in the beginning that the author will find some undisturbed habitat hidden way in the mountains with a remnant population of this impressive species. But instead, the mountains have been completely exploited for their resources. Through conversations with many locals who remember seeing these birds when they were children, he is able to determine that not only did logging directly destroy the habitat for this species, but also that the timber companies were paying a bounty to anyone that would kill the woodpeckers to stop them from destroying their trees. With much of the area already logged, the new threat is clear cutting of the remaining forest for the use of growing drugs. While both the author and I hold out hope that this species still exists in some remote corner of the Sierra Madres, current events make it seem even less likely that this is the case. This book is entertaining and engaging from start to finish. It keeps you on edge and always wondering who or what will be around the next turn!